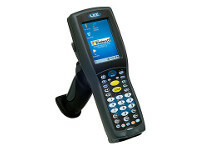 The Intermec 70 Series RFID is the no-compromise, next generation family of ultra-rugged mobile computers that add passive UHF reading to the already impressive feature set of 70 Series devices. 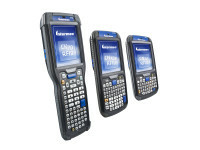 When it comes to accomplishing routine data collection tasks with greater efficiency and accuracy, the 70 Series RFID mobile computers are the answer. 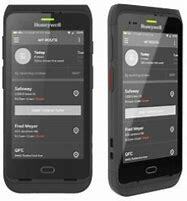 These devices combine advanced RFID reading and a no-compromise design with best-in-class ruggedness, battery life, and ergonomics. Intelligently designed into three different form factors yet built on a singular core platform, the 70 Series RFID gives you the benefits of specialized devices with the reduced complexity and cost savings that come from adopting a common platform. 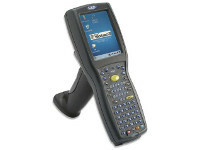 Adding RFID capability to 70 Series mobile computers has not come at the expense of size and weight. A fully integrated design utilizing Intermec’s IM11 embedded module—along with an internally housed antenna—enables advanced RFID read performance while maintaining the already-compact form factor of the 70 Series. The result is a fully integrated mobile platform that meets or exceeds typical RFID read range requirements, in a design that is more compact and comfortable to use than competing devices. With its single platform approach, the 70 Series RFID is unique in its ability to deliver the benefits that come with one architecture, one software build, one set of peripherals and one charging system. It brings simplicity to the frequent tasks of software updates, training new employees, managing spares pools and charging devices. The 70 Series RFID is fully compatible with the entire suite of original 70 Series accessories, including the FlexDock modular docking system designed to meet your current and future charging and communication needs while maximizing the return on your accessory investment. For details on compatible accessories, see the 70 Series Accessory Guide. 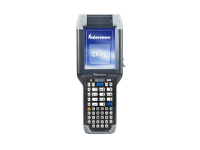 Intermec RFID readers, printers, tags, and Smart Labels are optimized to provide superior performance when used together. Our RFID readers, printers and labels are complemented by a complete line of integrated solutions and services including rugged mobile computers, RFID systems and deployment services and are used by customers worldwide to improve productivity, quality, and responsiveness in their business operations. Supports VoIP / Speech recognition / Push to talk applications; front and rear speakers; rear speaker has >80 dB at 40 cm (15.7 in); Front receiver and front panel microphone for handset audio communication and audio recording; Wireless Bluetooth headset support; Wired headset support via a snap on adapter. (1-800-755-5505). Outside of this area, contact your local representative. Intermec Global Services provides customers and partners with best-in-class support and advanced services. Intermec Medallion® Services deliver the highest levels of productivity, device reliability, and uptime.